It's been a while since I've done this meme as well. ^.^ How is everyone's week going? We are at the halfway point, so we can do it! I'm dying for Friday to come along. Ekkkk! 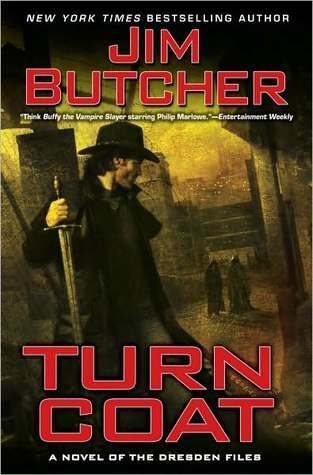 Anyways, this week I'm reading Turn Coat by Jim Butcher. I am with Harry and his dog Mouse in his house and I believe the time is contemporary but its a fantasy world. Morgan, his old nemesis of sorts, has just stumbled by and begged for help for the White Council is after him for something he didn't do. He is injured badly and Harry gets a doctor buddy, Butters, to help him. Now Harry and Mouse are sitting there watching Morgan sleep. Harry is thinking to himself. Please feel free to share where you guys are in your adventures! Oh wow. He has a dog named Mouse! I do need to keep going with this series. :) Thank you for joining in and hope all heal up quickly. ;) Thank you!!! B, lol awwww. Sounds exciting! 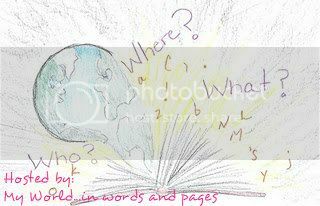 Melissa, I'm a bad kid...this is my first book of the series. xD Thanks!